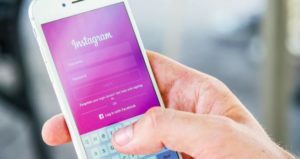 As you know the biggest change to Instagram in 2016 included the change from a chronological feed to the Instagram algorithm which decided which posts you will see and which you won’t. The majority of users are still angry about this feature. The truth is, if you feel like you’re not seeing enough new content on Instagram or or if you can’t understand why the majority of photos you see are several days old - you’re not alone. Instagram algorithm only allows you to see about 10% of the photos that pages you follow post. This means that about 90% of people who are following your business’ IG page don’t actually see what you post. So now, onto the updates. 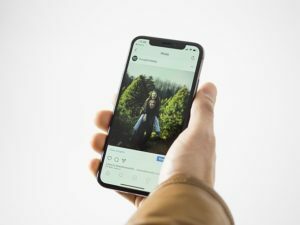 Before you get excited, Instagram did announce that the posts will now be in a more chronological order, but this is not quite the come back to the chronological feed that everyone has been asking for. From now on, the time when a picture was posted will play a larger role in deciding whether it’s displayed or not, but there are still many other criteria. As we’ve mentioned before, the degree of engagement a post gets, the amount of comments you respond to and the amount of time your followers spend looking at your photo still matter. The new Instagram update simply expands that list of criteria to include time. This means that you can expect to see more new pics in your feed, but if IG algorithm believes a certain photo will be great for you to see, you will still see it even if it’s a week old. This Instagram algorithm change will force business pages to adapt to keep the Instagram engagement rates high. Since newer posts will get more priority now, it is more important than ever to have a well-planned content strategy with lots of engaging posts prepared in advance. The ideal rate of posting is one regular post every day or two and several stories per day. (As you remember, the more stories your business posts, the more likely your regular posts are to be seen by followers). Since the posting time will matter more now, it is crucial to know when your followers are most active and to post during that time - your post will get lots of likes and comments soon after posting, which will help it stay in the feed longer.